Hello again and welcome to our fifth Extended Korean Conversation. The topic for this fifth example conversation is “At the Bank” (은행에서), and is between two people Micheal (the customer) & a Bank Teller (the employee). They are talking about opening a new bank account and some other aspects of banking. 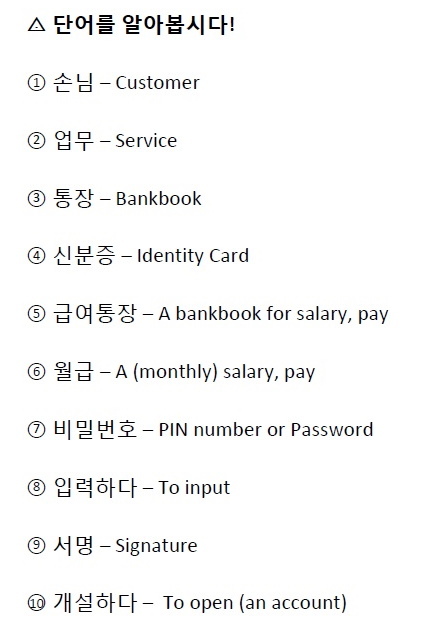 Some of the concepts can be taken and used in a real life banking situation in South Korea.